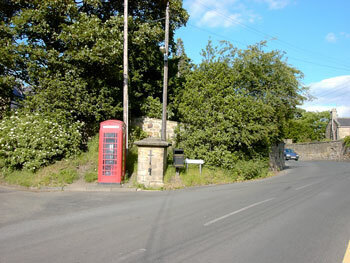 Ovingham is situated on the north bank of the River Tyne about half-way between Hexham to the west and Newcasle-upon-Tyne to the east. 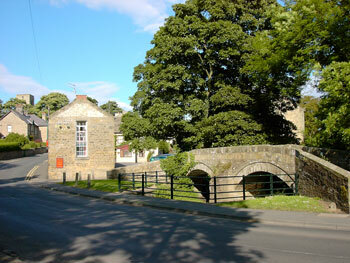 Immediately to the south, over a single track rickety bridge which spans the river, is the small town of Prudhoe. There are about 1200 residents in about 560 houses. 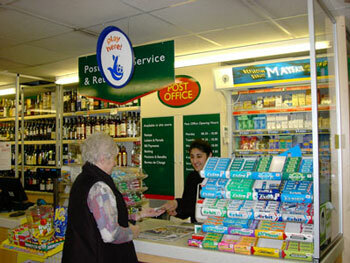 We have a well-stocked Londis shop which incorporates a Post Office and two pubs - the White Swan and the Bridge End Inn. Since 1 April 2009, Northumberland County Council became the unitary authority for the county. 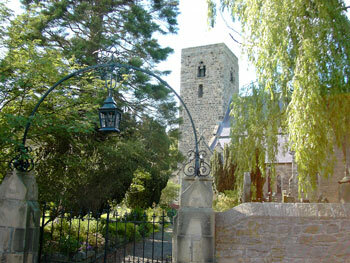 Our church - St Mary the Virgin - is the focal point of the village. Its tower was built in Saxon times and it is floodlit at night. 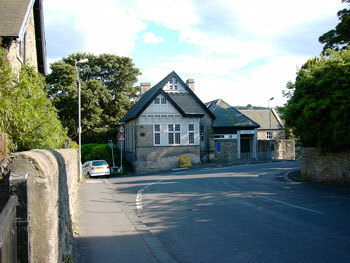 Ovingham Reading Room. It 's not anywhere near as old as the church but is still quite old. As its name suggests, it was built originally to encourage residents to go there to read newspapers and books that they probably couldn't afford to buy for themsleves. 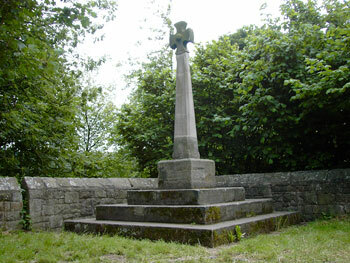 The Goose Fair Cross is located on The Hill. It's from here that the annual Goose Fair Procession starts. This is a shot of the Bridge End Inn and the Pack Horse Bridge. This is where the Annual Proclamation is made from. The Bridge End Inn does bed-and-breakfast. Phone James or Irene on 01661 832219. 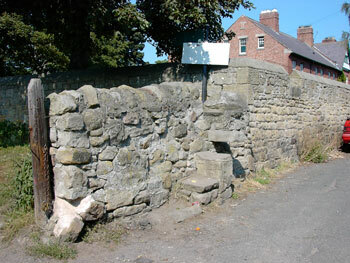 The Pant is the old village pump. These days, there's no water to be had out of it but you can still make calls fom the telephone kiosk. 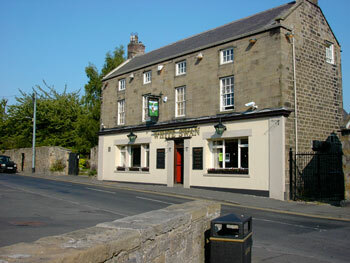 The White Swan Public House. They stock just about everything you might want. 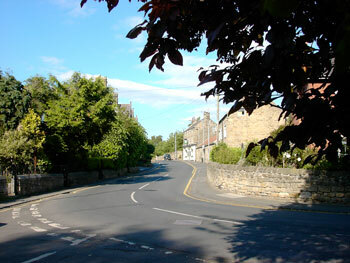 Looking east from the church up Main Road. The stile behind the church which marks the start of a very pleasant walk up Whittle Dene.